What is a manufacture? In English, this French word roughly translates to “factory”. For the last 10 years, marketers have hijacked the term manufacture to restrict it to high-end, vertically-integrated watch companies. The historical reality is much less black-or-white. In the South-Western area of the watch valley (from Geneva to the Vallée de Joux), factories gradually became vertically-integrated. Today, their production only account for 20% of Swiss watchmaking. The remaining 80% of the industry (mostly located between Morteau and Solothurn) went through a phase of horizontal integration during the Great Depression of 1931, followed by a phase of verticalization during the Quartz Crisis that took place prior to 1983. The aformentioned marketers would have customers believe that vertically-integrated watch companies release finer products than horizontally-integrated ones, which is simply preposterous. Suffice to name horizontally-integrated companies like Blancpain, Breguet, Glashütte Original or Jaquet Droz to help the reader understand that one category has nothing to envy to the other. On the contrary, there are barely no affordable watch being released by vertically-integrated companies (the only exception being Rolex) which suggests that the vertical business structure may not be as flexible as the horizontal one. This list mostly includes brands that use in-house calibres. I made one exception for brands that use an old stock of movements, considering that the very rarity of these movements makes them exclusive regardless of their architecture and level of finishing. The second exception covers the calibre ETA C01.211 and ETA A07 L31, which for the time being are reserved to specific brands of the horizontally-integrated Swatch Group. Given the exclusive, they could possibly be considered as in-house movement. When looking around for ready-made products to complement your wardrobe, you should always keep in mind the critical price beyond which custom-made products will deliver a much better service. Similarly, when shopping for a watch, you should always ask yourself “How much would it cost to have the same thing made by a watchmaker?”. 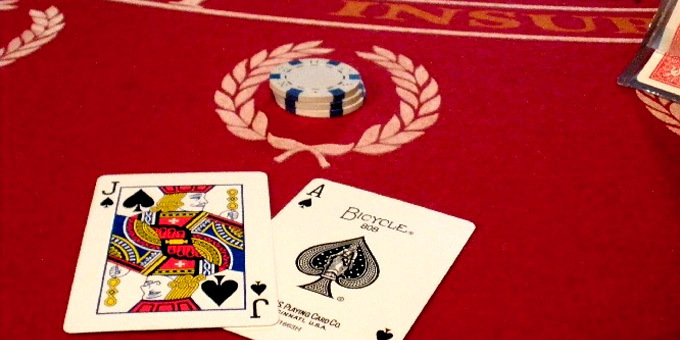 You might be surprised to find out that the best deal is not always on the side of ready-made. If you are tight on a budget, with 142 CHF you can already have your very own Swiss-Made watch assembled by 121Time with components from their catalogue. 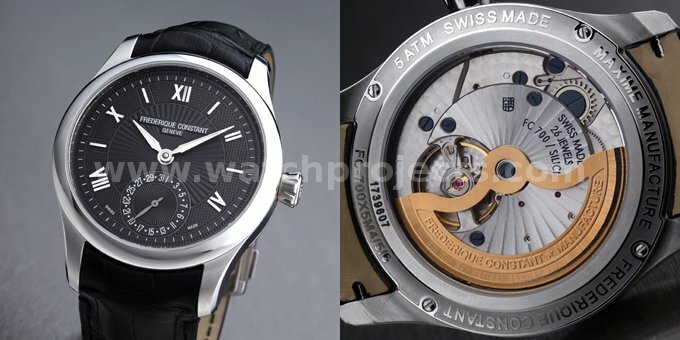 They also give the option of a quartz chronograph and an automatic movement. Given the possible combinations, chances are that only a handful of people in the world have the exact same watch design as yours. 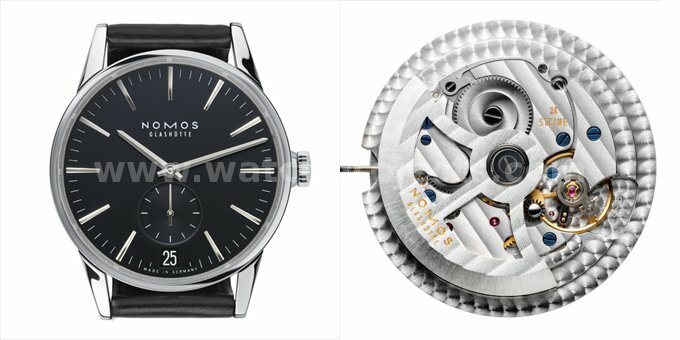 Fewsome watches offer similar services, and if you are willing to go higher in price, Blancier will have the Lottermann & Söhne assemble your watch design starting from 1026 USD. If high-end is what you are looking for, you should talk with Golay Spierer or master watchmaker Paul Gerber. 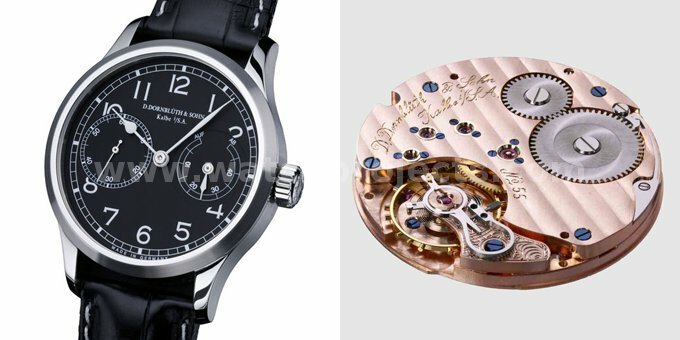 For the sake of this article, the author decided to limit the choice to mechanical watches, and to set the critical price at 5000 Euro, regardless of movement complications. The reader will be pleased to find out what kind of horological wonders it is still possible to get within that budget frame. Not all brands have sporty or steel bracelet models, so I decided to choose dress watches on leather straps as the lowest common denominator. Within a brand’s collections, I tried to pick the timepiece that came closer to the top limit of the budget. Re-launched by the offspring of Russian nobles put in exile by the 1917 Soviet revolution, Raketa (Russia’s oldest watchmaking factory) received fresh investment and expertise to enter the 21st century. Entirely built in Russia, the new collections use funky designs inspired by Soviet propaganda. The watch cases are now produced in durable stainless steel instead of cheap plated brass, and collectors complaining about the new bump in price should remember that it helps to keep the factory afloat and up-to-date. Sized at 38 mm, the Raketa Pilot is the most understated piece of the collections. Designed in 1995, the rugged Raketa 2623H calibre is wide by 11½ French lines and thick by 4.35 mm. It might not be refinished like a Patek, but it is very reliable and we consider it the most affordable entry to the world of manufactures. Paced at 18,000 Alternance per hour (2.5 Hz), the big monometallic balance wheel benefits from an Incabloc-type shock protection and it releases the mainspring energy over a span of 46 hours. Few people know that the Auguste Reymond factory gave birth to today’s ubiquitous UNITAS line of sturdy pocket watches movements. Horizontal integration in the Swiss Jura Mountains led the ARSA 6498 patents straight into the portfolio of ETA factories. However, the Tramelan-based factory still produces a smaller calendar-enabled iteration of the hand-wound movement: calibre UNITAS 6425. Sized at 35 mm, this Auguste Reymond Boogie model is the first instance in this list where a brand uses a calibre that they created themselves. The UNITAS 6425 is 13 lines wide by 4.6 mm thick. The monometallic balance wheel with Icabloc protection is paced at 21,600 A/h (3 Hz) and runs for 48 hours. 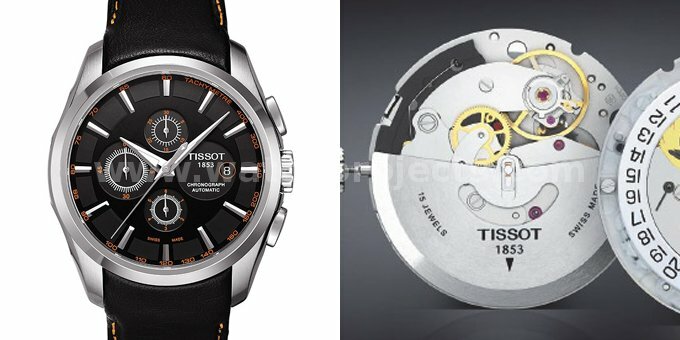 Tissot is one of the two companies of the Swatch Group that benefit from an exclusive on the calibre ETA C01.211. Sized at 43 mm, this Tissot Couturier chronograph features a partially-opened case back that shows the balance wheel of the calibre. Based on the architecture of legendary chronograph Lemania 5100, this ETA C01.211 sees the famous central minutes counter suppressed and the hour register changed from 12 to 6 units. At 13¼ lines with 8.44 mm of thickness, this calibre has a monometallic balance wheel paced at 28,800 A/h (4 Hz) that benefits from a Kif shock protection. The unidirectional winding rotor charges the mainspring which keeps the watch running for 45 hours. Seiko is probably one of the most versatile manufactures: they can produce reliable watches for any price range, and they have always been a step ahead when it comes to technology innovation. The Seiko Brightz Automatic model is the only entry in the list to come with a 43 mm titanium case. Introduced in 1992, the 4S calibres architecture is based on Seiko’s calibre 52 from the 1970’s, which can be considered one of the most affordable high-quality automatic movements. The monometallic balance wheel is protected by Seiko’s proprietary Paraflex system and is paced at 28,800 A/h (4 Hz). The rotor winds in both direction thanks to Seiko’s proprietary “Magic Lever” system. This 12 lines-wide movement with eccentric fine-tuning screw can run for 50 hours and features date and weekday registers. The register at 9 o’clock allows keeping track of a reference time, while the pusher at 2 o’clock allows changing the 12 hour time without hacking the seconds hand. 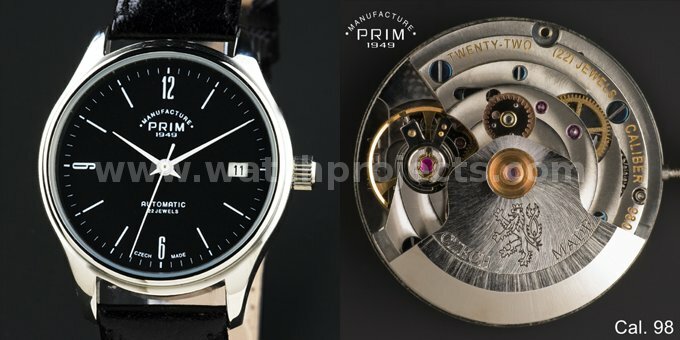 Watches from the Czech PRIM factory are mostly sought by national collectors. Prices might seem a bit steep in comparison with Swiss and German alternatives, but they are justified by having all the components produced nationally. The PRIM Linea 36 chosen here is one of the most affordable, and it uses a proprietary calibre 98 with date. Developed in 2009, the calibre 98 is sized at 11½ lines. The monometallic balance wheel with Incabloc-type shock protection beats at 21,600 A/h (3 Hz) and keeps the movement running for 40 hours. German watchmaker Jorg Schauer earned the esteem of collectors worldwide for his fine mechanical watches. 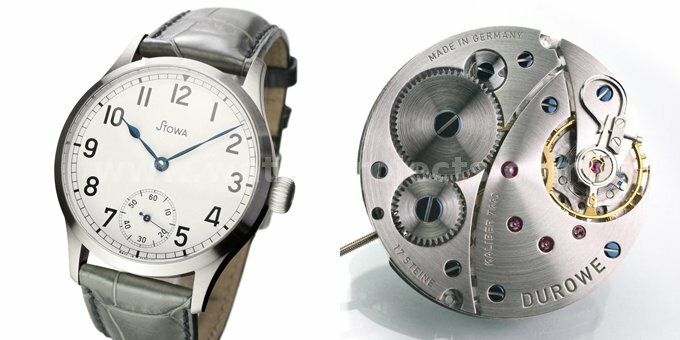 Over the years, the entrepreneur acquired the Stowa and Durowe trademarks. The 41 mm Stowa Marine Original Durowe 7440 is Shauer’s first collection to feature an in-house movement. The designed is based on German marine chronometers. The Durowe 7440 is based on the UNITAS 6498 architecture and uses the same geartrain. Schauer invested in the development of new bridges, and this calibre uses a bimetallic balance wheel with Incablock shock protection and a very elegant swan neck for fine-tuning. The Durowa 7440 beats at 18,000 A/h (2.5 Hz) and runs for 45 hours. Founded in 1904 by friends Frederique Schreiner and Constant Stas, the brand was established as an independent family business in 1988. The brand Frederique Constant introduced their first in-house movement in 2004. The Heart-beat calibre was followed by a simple two-hand version with date register in 2009. The 42 mm Frederique Constant Maxime Manufacture is the first entry of this list to feature an in-house movement designed in the XXI century. The calibre FC 700 uses a monometallic balance wheel with Incablock shock protection and eccentric fine-tuning screw. Beating at 28,800 A/h (4 Hz), the movement can run for 42 hours. This Longines Master Retrograde Moon Phase is another development based on Longines‘ proprietary calibre L707, which is based on the ETA A07 from the Valgrange line. The quadruple retrograde module is exclusive to Longines, and this version now features moon phase and day/night indication besides full calendar and independent time zone. The watch is available either in 41 mm or 44 mm of diameter. ETA Valgrange line is based on the Valjoux 7750 chronograph: the chronographic functions have been left out and the plate has been enlarged from 13¼ French lines to 16½, in order to adapt to bigger case sizes. Winding in one direction, the calibre Longines 707 features the Incablock shock protection and the eccentric fine-tuning screw of the 7750. 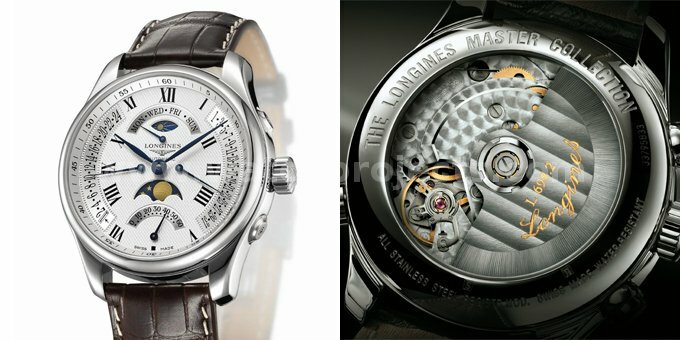 Running frequency is 28,800 A/h (4 Hz), power reserve is 46 hours, and the thickness of the movement has been increased to 10 mm to accommodate Longines’ proprietary module. Chronoswiss recently released an in-house calibre with “dead” second (beating at 1 Hz), but it was unfortunately beyond our target budget. However, the 40 mm Chronoswiss Sirius came as a perfect choice: it houses a 13 lines vintage calibre 700 that was once used by Swiss brand Marvin. The calibre C111 is 13 lines wide and 3.3 mm thick, and it comes with a monometallic balance wheel with Incablock shock protection. Beating at 21,600 A/h (3 Hz), it runs for 38 hours. Cimier is one of those small Swiss companies with a rich past: the trade mark Cimier was first use in 1925 by the company Lapanouse, which was responsible of creating the world-famous Roskopf watches. Unfortunately, the Quartz Crisis led to the company shut down in 1985; but it was revived in 2003 by investors. Strangely, the new headquarters location are nowhere near the Watch Valley: it was established by Zug, closer to the geographic center of Switzerland. 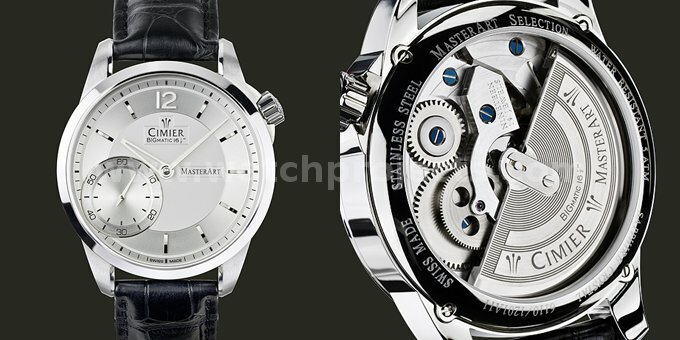 This year, the watchmaker released the Cimier Bigmatic, a new model featuring a customized UNITAS 6497 calibre. The engineers designed a self-winding module to adapt on the 16 lines pocket watch movement. Universal Genève is famous for their implementation of the micro-rotor, which allows to keep the movement architecture thin. After change of proprietary, the brand has finally been put back to producing in-house movements. Sized at 41.6 mm, the Universal Geneve Microrotor UG 101 pays tribute to the legendary Polerouter case designed by late Gérald Genta. 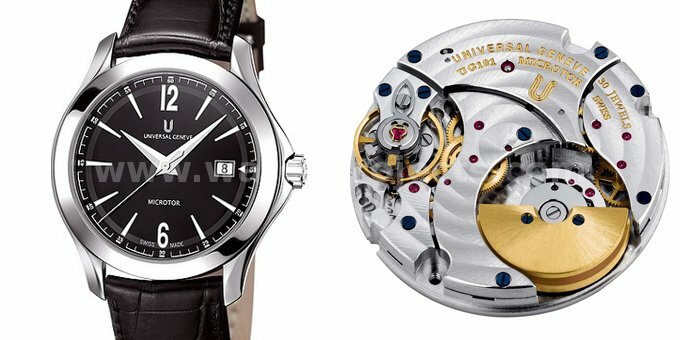 Released in 2007, the calibre UG 101 is an affordable iteration of the UG 100 from 2006. Sized at 11½ lines, the calibre relies on a small monometallic balance wheel with Kif shock protection and eccentric fine-tuning screw. Power reserve is 42 hours. Jaeger leCoultre is a rarity amongst watchmaking companies: it holds one of the largest portfolios of intellectual property. In the 1990’s, they were letting sister company IWC use their calibre 899. The 40 mm Jaeger leCoultre Master Control Classique features this state-of-the-Art in-house automatic calibre, which undergoes 1000 hours of stringent testing before being approved for release. This certification process goes far beyond that of the COSC. 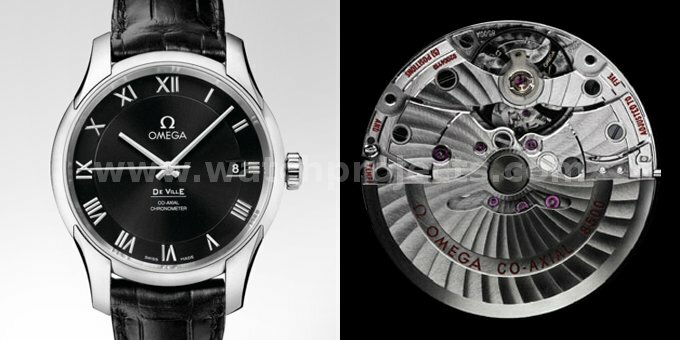 Paced at 28,800 A/h (4 Hz), the calibre 899 comes with a 22 ct. gold mass on the rotor. It relies upon a monometallic balance wheel with inertia screws, laser-welded balance spring and Kif shock protection. Clearly, this is the finest calibre so far in the list. Designed in the Hannes Wettstein studio, this Nomos Zürich Datum is the epitome of the manufacture’s know-how. The Nomos company was created by a visionary entrepreneur shortly after the collapse of the Berlin wall. Nomos based its first movements on the architecture hand-wound Peseux 7001. Several modifications later, they now have their own in-house movement, which comes here in a 39.7 mm steel case. Nomos originally based their in-house calibre on the Peseux 7001. After several deep modifications, it is fair to say that the result is an entirely different calibre. The calibre zeta used in the chosen watch has a 13¾ lines-wide plate. Ticking at 21,600 A/h (3 Hz), the mono-metallic balance wheel has an Incabloc shock protection and the mainspring barrel provides 42 hours of autonomy. An additional rotor winds the mainspring in both directions. Born in the U.S.A and trained in Switzerland, watchmaker Roland G. Murphy created the RGM Watch Company to revive watchmaking-related crafts in the state of Pennsylvania. 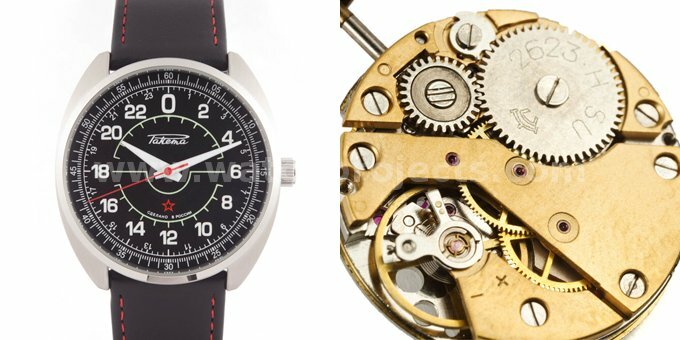 The company is famous for their engine-turned dial, but a few years ago they officially became a manufacture by releasing the first mechanical movement entirely designed and manufactured in the 21st century U.S.A. The RGM watch company has now added a proprietary hand-wound movement to their portfolio. Sized at 16 lines, the calibre features a mono-metallic balance wheel with Incabloc shock protection and fine-tuning screw. Beat pace is 18,000 A/h (2.5 Hz). Since its adoption of George Daniels’ co-axial escapement in 1999, Omega has been on the path to becoming a fully-fledged manufacture. Their movements are still built by ETA, but they are exclusive to the Biel-based brand. The Chronometer-grade calibre 8500 benefits from Omega’s decades of expertise and it has been designed to run as a rugged and reliable movement. The calibre 8500 is the first in our list to feature a double mainspring barrel mounted in series that provides 60 hours of autonomy. Winding is bi-directional, and the big free-sprung balance works in conjunction late George Daniel’s co-axial escapement beating at 25,200 A/h (3.5 Hz). This is the most high-tech calibre of our selection. 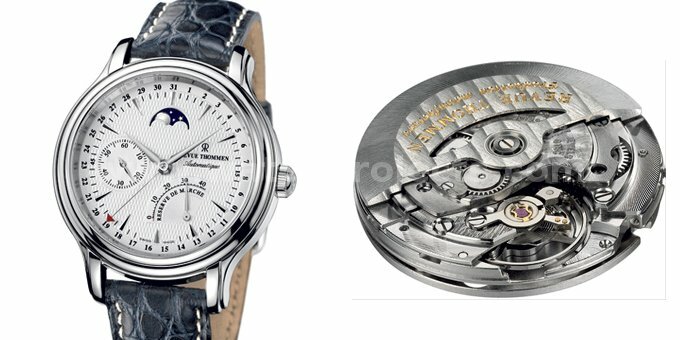 The Dornblüth father and son opened their own watchmaking workshop in 1999. 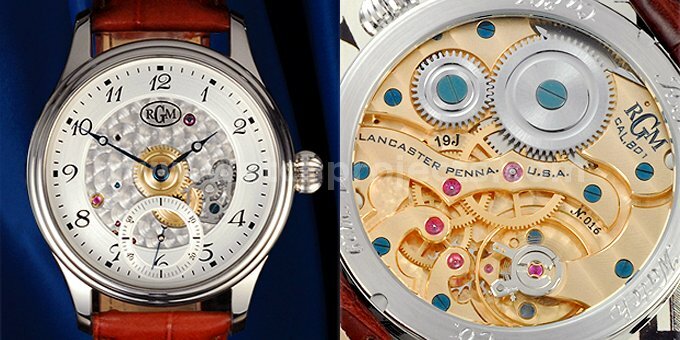 They took advantage of the UNITAS 6498 geartrain to design a ¾ plate movement. The Dornblüth & Sohn Cal. 99.2 selected here features the original Dornblüth dial inspired from German marine chronometers. A register at 6 o’clock shows the seconds, while the register at 3 o’clock shows the power reserve. Founded by self-made man Emile Pequignet in 1973, the company Pequignet met with success with their mid-range fashion watches. In 2004, as Mister Pequignet went into retirement, he sold the company to a former Zenith manager, Mr. Didier Leibundgut. 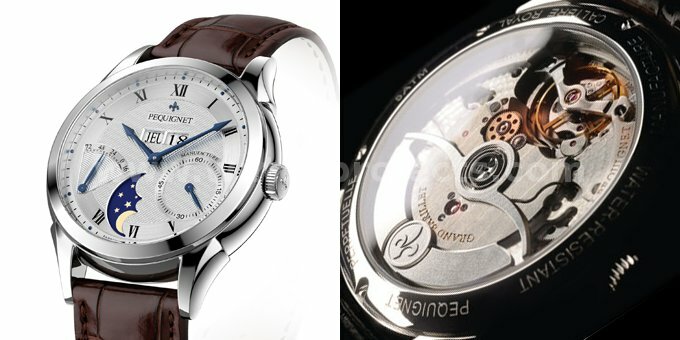 Under the new ownership, Pequignet was set on becoming a high-end French watchmaker. The dial features weekday and two-disc date windows. The seconds register is located at 4 o’clock, while the power reserve can be seen at 8 o’clock. A window located at 6 o’clock show the moon phase. The new in-house French-made calibre from Pequignet was designed by Ludovic Perez and Van Tran, two men who previously worked for CompliTime, the owner of the Greubel Forsey manufacture. The calibre Royal was designed with all complications integrated. Wide by 13¼ lines and thick by 5.88 mm, the movement relies upon a free-sprung mono-metallic balance wheel paced at 21,600 A/h (3 Hz) for releasing the mainspring’s 88 hours of power reserve. The rotor mass with tungsten winds the mainspring in both directions. Sized at 42.5 mm, the Zeitwinkel 181° offers an interesting mix of classical and contemporary cues. The Zeitwinkel company was recently established in Saint-Imier by co-founders Peter Nikolaus and Ivica Maksimovic. Sized at 13½ lines and 5.7 mm thick, the Zeitwintel calibre winds in both directions. The monometallic balance wheel features a free-sprung balance wheel with Straumann hairspring and Incabloc shock protection paced at 28,800 A/h (4 Hz). Power reserve is over 72 hours. The Revue Thommen Power Reserve and Moonphase GT 60 is one of the rare pieces from the historical brand to combine in-house calibre and astronomic complications. The register at 4 o’clock shows the power reserve, while the register at 9 o’clock shows the seconds. There is a moon phase indication at 12 o’clock, and a central hand shows the day of the month. Launched in 2005 and sized at 13 lines by 6.4 mm, the calibre GT 60 is paced at 19,800 A/h (2.75 Hz) and boasts a power reserve of 42 hours. Based on a design from the 1960’s the Glashütte Original Sixties uses the modernized version of a GUB movement designed and built in Glashütte. The calibre 39 features a mono-metallic balance wheel with Incabloc shock protection and swan-neck regulation, which beats at 28,800 A/h (4 Hz). Power reserve is 40 hours. Already a reputable manufacture before the 1960’s, Zenith made a name for themselves by releasing on of the first integrated automatic chronographs. In 1996 the company released the Elite calibre, a State of the art three-hand automatic calibre. The Zenith Elite Captain Moonphase chosen here features a seconds register at 9 o’clock, a moon phase window at 6 o’clock, and a double-disc date at 2 o’clock. The Elite is an 11½ lines slim calibre with mono-metallic balance wheel and Kif shock protection paced at 28,800 A/h (4 Hz). Power reserve is 50 hours. 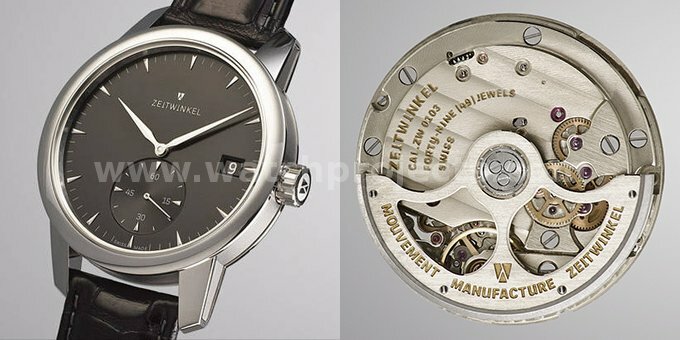 Special thanks to Ranfft Watches, whose extensive database helped mining all the technical information of those calibres. Hello RSG, yes you are right: Citizen is a manufacture, simply because they develop and own all the IP of their movements. Still, they seemed to have focused on lightwave-powered technology, only to leave their mechanical products open to third parties. Last year, the Japanese watchmaker launched their high-range The Citizen worldwide. The new label features quartz watches and mechanical watches. 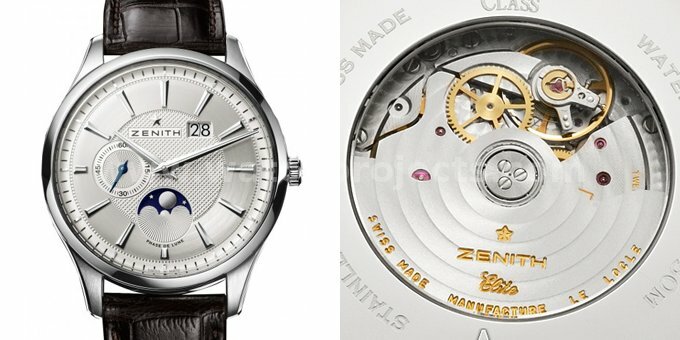 Citizen uses their new high-beat (28,800 A/h 4 Hz) 11 ½ lines calibre 9015, which is not really an exclusive since they make it available to third parties. Thank you for putting this together. It is a most excellent list. Your definition of “Manufacture” is well stated. I noticed that it made no mention of Chinese watches, Sea-gull for example, and I wonder if your definition needs to be adjusted (or my reading comprehension needs to be improved) to say “any company that has an exclusive on a watch movement and issues the movement exclusively. I believe most if not all of the Chinese movements are sold as ebauches. Obviously Swatch has an exclusive on ETA movements, but currently (or is it previously) sold them as ebauches. I’m curious if you’d care to expand upon your selection criteria and perhaps list some of the “manufacture” watches that missed the list. 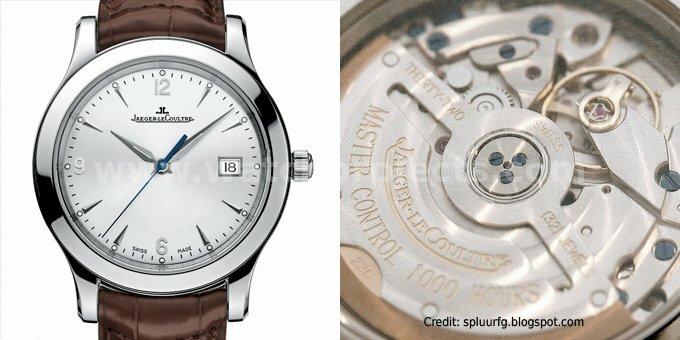 I believe the Eterna Madison is a solid contender. 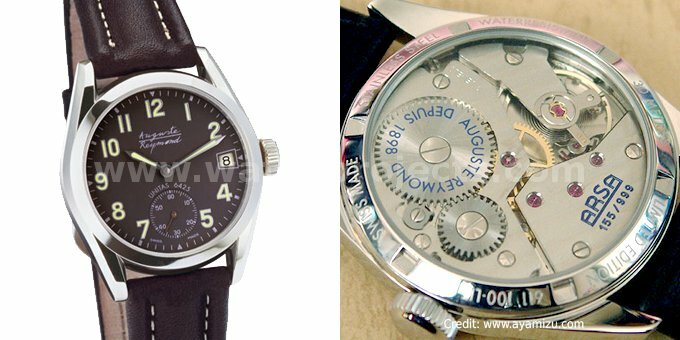 Maurice Lacroix and Vulcain both deserve some consideration, though I am unsure if either squeezes under the 5000 euro limit. 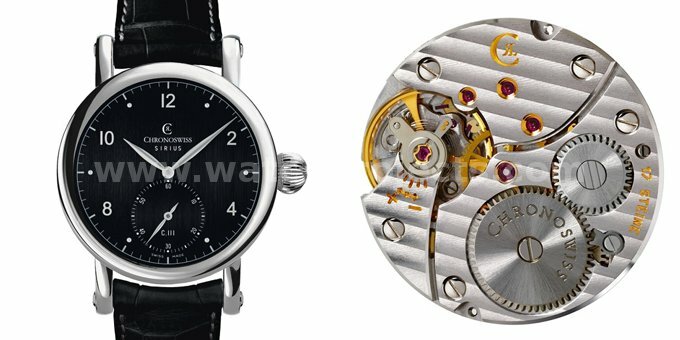 As do Muhle, Damasko, and Sinn for their new offerings. Also, Is that Universal Geneve still produced? Is the Pequignet in production yet? Lastly, I’m curious about the inclusion of exclusive modules. I wonder if that then includes Cuervo y Sobrinos’ CyS 2853 and some of Louis Erard’s supposed exclusive modules. Again, it is a great list. One that makes me think about how I’d draw my own lines in the sand. The Nomos club costs around 2000$..if you can include it in this list in the respective column, you would be doing a great service for WISes all over the web..or do you not consider it an inhouse movement? Another “manufacture”-type brand would be the Orient company in Japan. 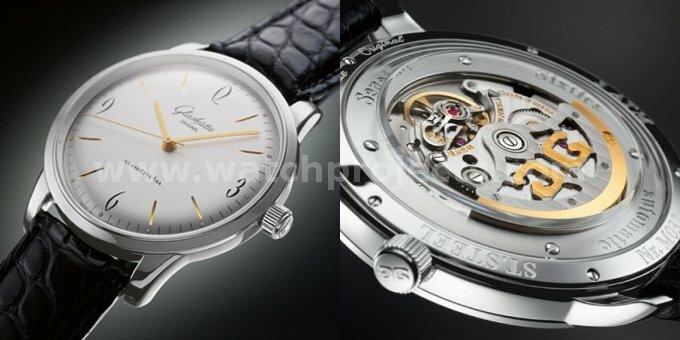 While they sell both quartz and automatics, their “heart and soul” is with the mechanical watch sector. While Seiko and Citizen were pumping the “quartz crisis”, Orient was still concentrating on mechanical watches. 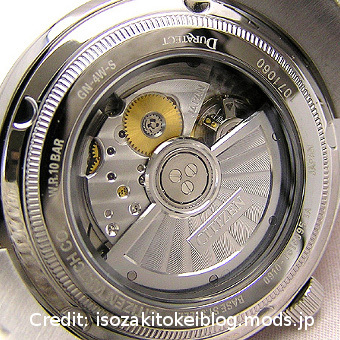 It is believed that most mechanical watches released from Japan have been the Orient ones. Orient’s mechanical movements are designed/manufactured in-house and have consistently good accuracy. Often the big three in Japan are quoted as being Seiko, Citizen and Orient. 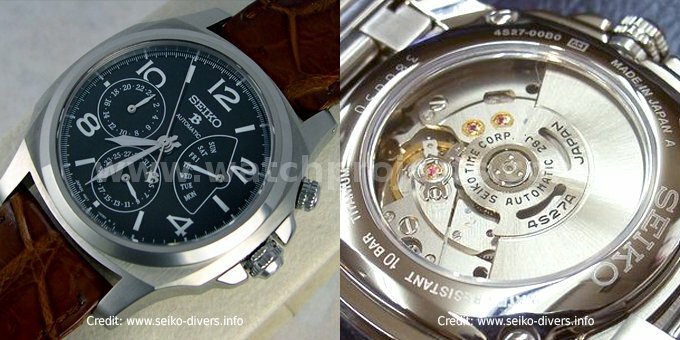 Where can one buy Seiko Brightz 4s27a?